Experts who spoke with Alzforum praised the mitochondrial studies in the paper, but said it was a stretch to call the disease ALS-FTD. “I do not think that most clinicians would call this a case of ALS,” commented Richard Bedlack of the Duke ALS Clinic in Durham, North Carolina. He said the study does not prove a mitochondrial origin for ALS-FTD, although evidence abounds for mitochondrial malfunction as one facet of the disease (see Jan 2012 news story; Nov 2011 news story; Aug 2010 news story). Mitochondrial inner membrane invaginations house essential respiratory chain components. The authors called the condition in the original French family they studied “ALS-FTD atypical.” At 50 years of age, the first patient developed cerebellar ataxia plus dementia, became deaf, and had difficulty using her mouth and throat. She lived for a further 17 years, an unusually long time for an ALS patient, Bedlack noted. Other family members developed a variety of conditions, including ataxia or motor neuron disease, as well as frontal-lobe impairments such as loss of memory and executive function. The only feature all affected family members had in common was myopathy, the authors wrote. Stanley Appel of the Methodist Neurological Institute in Houston also disputed the ALS-FTD diagnosis in an email to Alzforum, saying more detailed neuropsychological testing and autopsy evidence of lower motor neuron disease would be required to confirm the diagnosis. This kind of variable, multisystem disorder is, however, typical of mitochondrial diseases, leading the authors to investigate those organelles. Bannwarth and colleagues biopsied muscle tissue from eight family members and observed several abnormalities upon microscopic examination. The normally dispersed mitochondria clumped together, and they were deficient in crucial electron transport chain components such as cytochrome c oxidase and Complex V. Moreover, the mitochondrial DNA was missing large chunks. These deletions could result from many possible causes, the authors suggest, such as increased mitochondrial DNA damage, defective DNA repair, or the cell’s failure to dispose of mitochondria with damaged DNA. Fragmented mitochondrial chromosomes have been linked to ALS in the past (see Jun 2010 news story). Fibroblasts from these patients consumed less oxygen than control cells, indicating weak respiration. The mitochondria in these cells appeared fragmented, as well. They were also disorganized, with fewer of the inner membrane folds, or cristae, where the electron transport chain typically sets up shop. Paquis-Flucklinger and colleagues sequenced the exomes of two family members in search of variants that might explain the phenotypes. They zeroed in on a serine-59 to leucine mutation in the CHCHD10, a gene on chromosome 22. Nothing was known about this gene, though a role in oxidative phosphorylation was suspected (Martherus et al., 2010). The researchers used computer models to predict that this mutation might impede protein-protein interactions. Bannwarth and colleagues examined the CHCHD10 gene in 21 other ALS-FTD families, in which the diagnosis had been confirmed at autopsy. They discovered the same mutation in one affected man from Spain. He and other members of his family exhibited a variety of symptoms such as difficulty walking, cognitive and behavioral changes, and blindness. The authors told Alzforum they have since identified a different CHCHD10 mutation in two more ALS-FTD families. Not surprisingly, Bannwarth and colleagues found the CHCHD10 protein in mitochondria. It turned up in all human tissues, including the brain, being particularly prevalent in the heart and liver where mitochondria are numerous. Via electron microscopy, the authors spotted CHCHD10 in the mitochondrial intermembrane space, near cristae junctions, where the organelle’s inner membrane folds back on itself. To study the CHCHD10 mutation, the authors overexpressed the mutant or wild-type protein in HeLa cervical cancer cultures. In the presence of mutant CHCHD10, but not wild-type, mitochondria were disorganized and fragmented, with fewer or malformed cristae. Similar features characterize other mitochondrial diseases, as well as cells with mutations in the ALS gene superoxide dismutase 1, noted Giovanni Manfredi of Weill Cornell Medical College in New York. Manfredi was not involved in the paper but saw it presented in Tampere (see Jul 2011 news story on Vande Velde et al., 2011). For now, Manfredi added, it remains unknown if the CHCHD10 mutation alters the ATP production machinery in a way that mangles cristae, or if the mutation alters cristae and the structural abnormality leads to ATP synthesis defects. 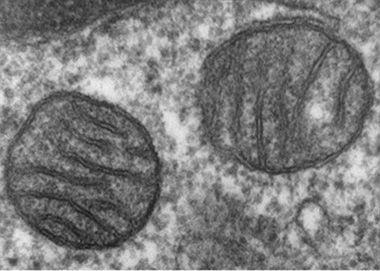 The authors told Alzforum they next intend to investigate the role of CHCHD10 in mitochondria. 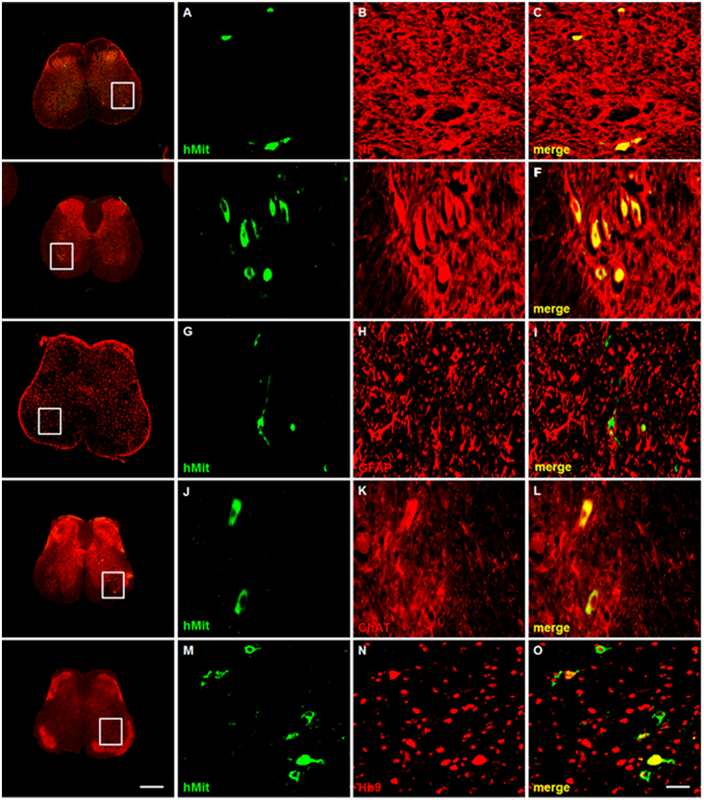 Despite the uncertain diagnosis, Bedlack found the paper valuable for its insights into mitochondrial defects that can affect motor neurons. He cautioned against inferring that typical, sporadic ALS arises from similar mitochondrial maladies. Manfredi added that the ALS-FTD spectrum has been expanding, and this kind of “hybrid” mitochondrial myopathy/motor neuron disease is not entirely novel. After all, the multisystem proteinopathy due to mutations in mitochondrial valosin-containing protein causes ALS and FTD in addition to myopathy and bone disease (see Dec 2010 news story; Mar 2013 news story). “We have to be a little bit more flexible about the concept of motor neuron disease,” Manfredi suggested.